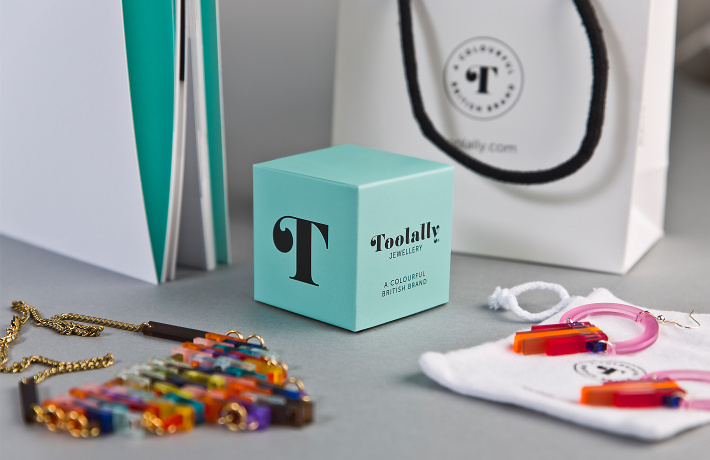 Toolally is a colourful, British jewellery brand. Its growth in a very short space of time has been phenomenal. This can be put down to a combination of two things: one, it is a brilliantly unique product with a great story to tell. And two, it has completely embraced StorygellingTM. Toolally’s products aren’t about playing it safe – and neither is the brand. It wanted to make a bit of noise in the fashion world. It was brave. It wanted to grow and be famous. 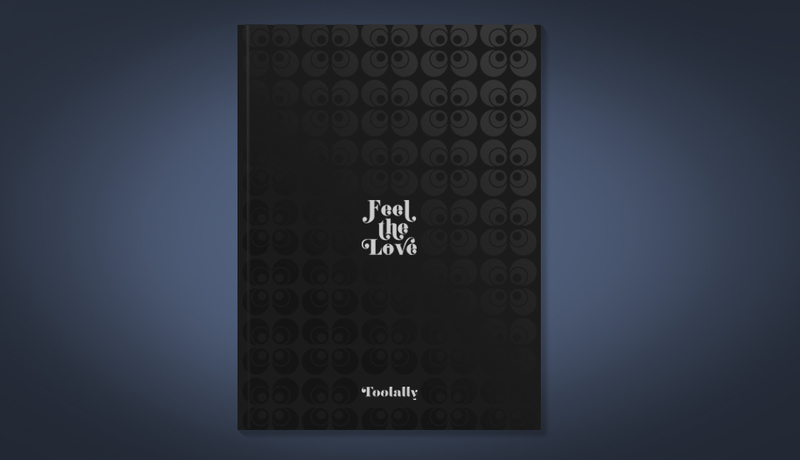 With the fabl’s help, Toolally achieved its goal incredibly quickly. Toolally approached us right at the very beginning. We developed the brand’s identity and a strategy to woo and wow the fashion media and potential customers based on its core values; the brand is direct, fun, celebratory and confident. We nurtured and developed its unique tone of voice, one that perfectly reflects its single-minded approach to colour and boldness. 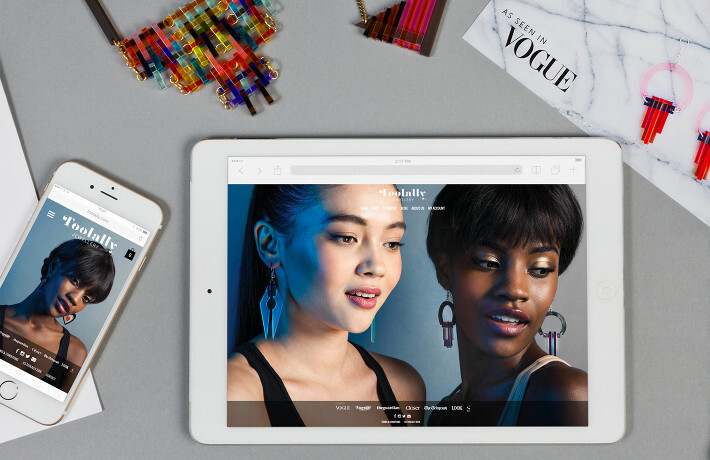 We created an e-commerce website, a lookbook, print ads and a social media campaign. After just six months, Toolally was getting noticed. It was approached by Vogue to create an 80s inspired piece for a fashion editorial with model Lara Stone which was being shot by photographer Mario Testino. This was pretty big news, to say the least. Brand Toolally officially launched at Stylist Live Weekend in 2015. The response from both the public and the global fashion industry was remarkable. With one pair of earrings being sold every three minutes during the show, it was clear that this was a brand experiencing phenomenal growth. We continued to tell its story and gel with its growing audience. 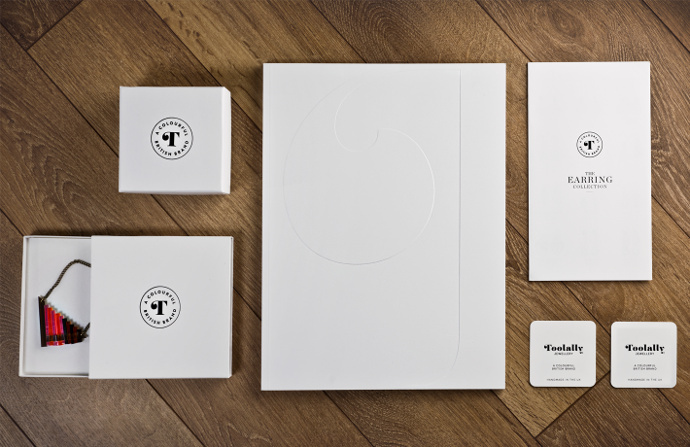 To date, we’ve created three lookbooks for Toolally and the increasing confidence of the brand is expressed in its increasingly bold product design – and a more confident Storygelling approach and tone. The fabl has helped Toolally expand its customer base and drive product sales via e-commerce with monthly email campaigns and competitions. We helped grow its followers across social channels. And when people said, ‘Help! 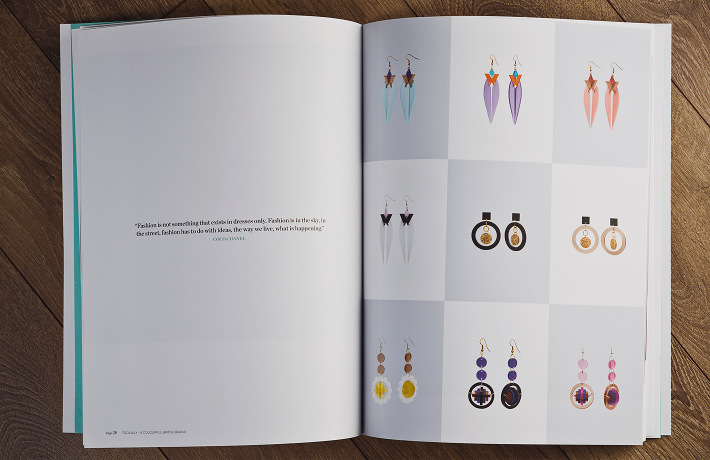 How do I wear statement earrings?’ (as they do) we created a handy book called The Toolally Triangle, which told the story and took the mystery away. The target audience loved it. The fabl has helped Toolally expand its customer base and drive product sales via e-commerce with monthly email campaigns and competitions. We helped grow its followers across social channels. And when people said, ‘Help! 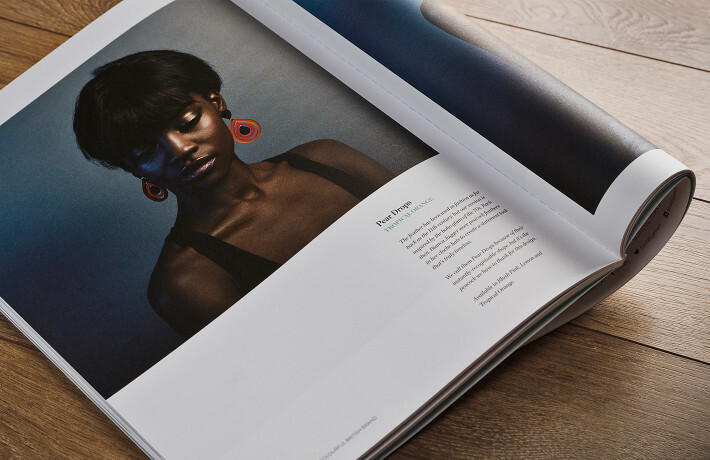 How do I wear statement earrings?’ (as they do) we created a handy book called The Toolally Triangle, which told the story and took the mystery away. The target audience loved it. So did retail giant John Lewis. It wanted to be part of the success story and Toolally launched nationwide in seven stores. Before long, the raspberry and mandarin fan became their top selling earring. This year, the store has more than doubled the number of designs it is stocking and is extending the range to more stores including its Heathrow airport outlet. As of Spring 2017, the brand is in negotiations to launch at Macy’s New York. Independent stockist numbers have tripled and online sales are almost doubling month on month.Toolally is one of those brands which is constantly moving, refining and developing. Recently, we helped it create a range of beautifully colourful silk scarves, along with a fabulous range of luxurious leather bags.Our work with Toolally reflects a creative, collaborative process. Fashionistas have said that it doesn’t get any bigger than Vogue. We have shown that it does!When we say that StorygellingTM can help your brand grow, Toolally is the living, thriving proof. Nought to Vogue in Six Months!